At BourbonBlog.com, we feel like we have won everyday because we have the opportunity to bring you spirited news, Bourbon updates and reviews first. Today we celebrate a different kind of winning. We just learned that BourbonBlog.com‘s Tom Fischer won the #BIN27Girls Photo Contest from Tales of the Cocktail 2013 with Fonseca BIN 27 Port as the photo above was selected as the winner. Tell us what YOU think the caption for the photo should be on this link, under comments. 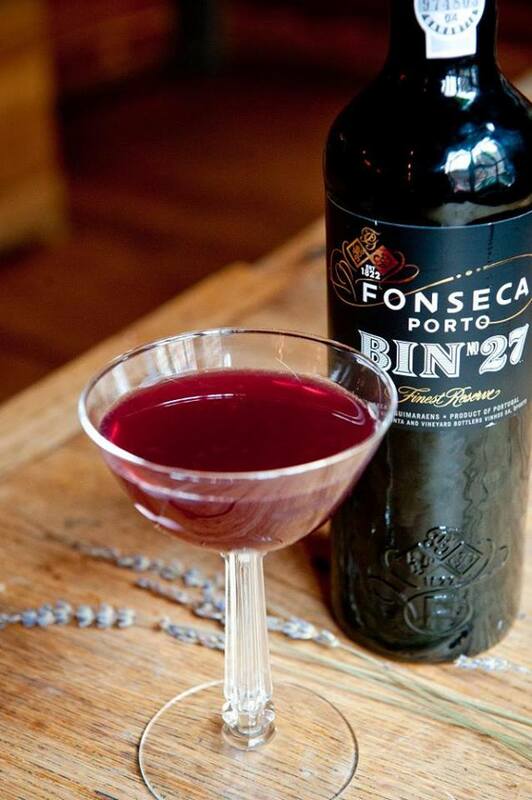 “The joy of returning to Tales of the Cocktail along with the delicious taste of the Fonseca BIN 27 made me just that happy,” says Tom. 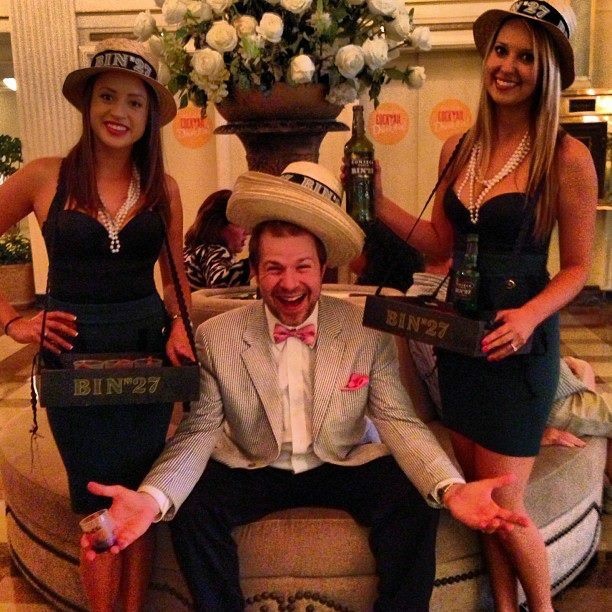 Fortunately, Tom convinced the BIN 27 Girls to pose for this photo for a contest that took place at Hotel Monteleone during the “Warm Welcome” at Tales. Many great entries for the photo contest came in tagged #Bin27Girls on Instagram and Twitter and linked here on facebook. During the “Warm Welcome” the BIN 27 Girls shared samples of their delicious port punch with Tales attendees and chocolate chip cookies baked by Jacques Torres. Forget the milk because guests also dipped the cookies in the port. Below the recipe for the Cold Rub Punch punch they served. Subscribe to our free newsletter for more great cocktail recipes! 1 quart Batavia Arrack 1 quart Fonseca BIN 27 3 Pints Green Tea (best frozen into green tea ice cubes) 6 Lemons juiced and peeled 1 pound Sugar Massage the sugar into the peels of six lemons and let rest overnight. When ready to serve, dissolve the sugar and lemon peels into the tea and add the other ingredients. Pour and serve over ice. TWO girls…TWO arms! Isn’t math awesome?